Working independently as a student in the Graphic Design 03 class at OCAD University, I was tasked to design an information sheet to help people understand the object and its function. 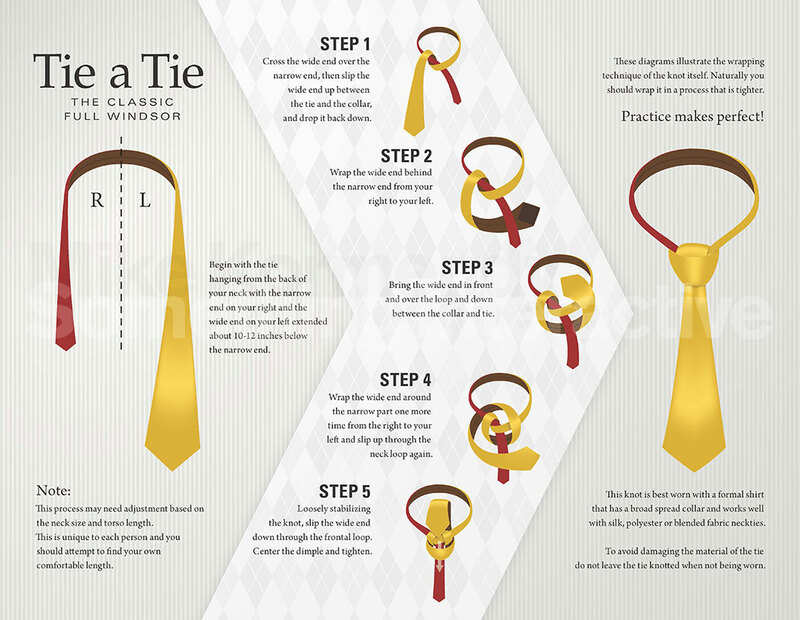 I chose a neck tie, and the process of how to tie the neck tie. Many people find it difficult to follow instructions because they cannot understand the components of the product. This kind of frustration can be eliminated if a designer identifies and shows the different parts of a product clearly. In this project I was asked to explain an object by identifying and showing its parts effectively and by producing clear and concise instructions as to the function of the product. The drawings and the descriptions work in tandem. To be concise and accurate, they need the accompaniment of each other. There is immediate complexity due to intertwining loops of the tie ribbon, this in turn creates many lines and shapes in the illustrations. 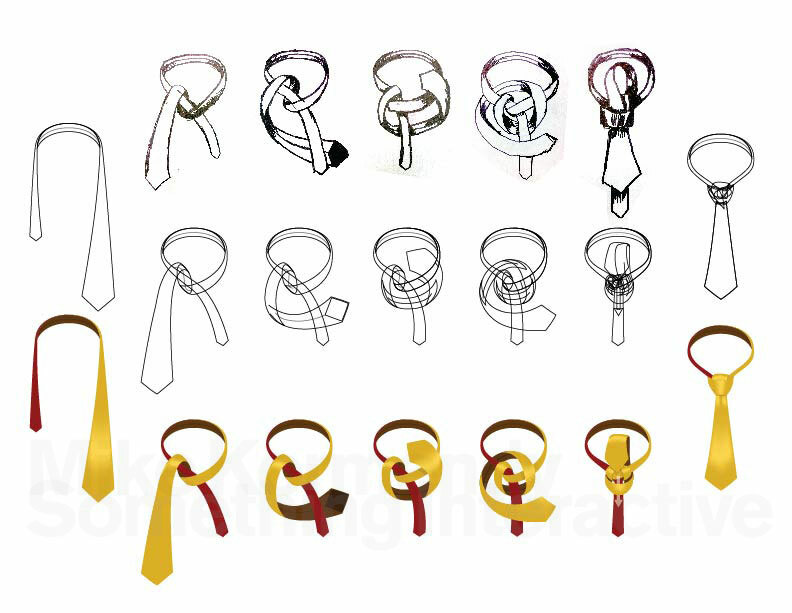 To assist in the illustrations and instruction, the left side and right side of the tie will be separated by different colour so as to differentiate the two sides. There will also be two shades, a front (light) shade and a back (dark) shade of each colour to also assist in differentiating the wrapping of the tie. The overall impression is one of formality, including patterns, colours and typography associated with sophistication.